The premier museum in Kenya is the National Museum of Kenya in Nairobi. Its website provides links to various regional museums in Kenya. 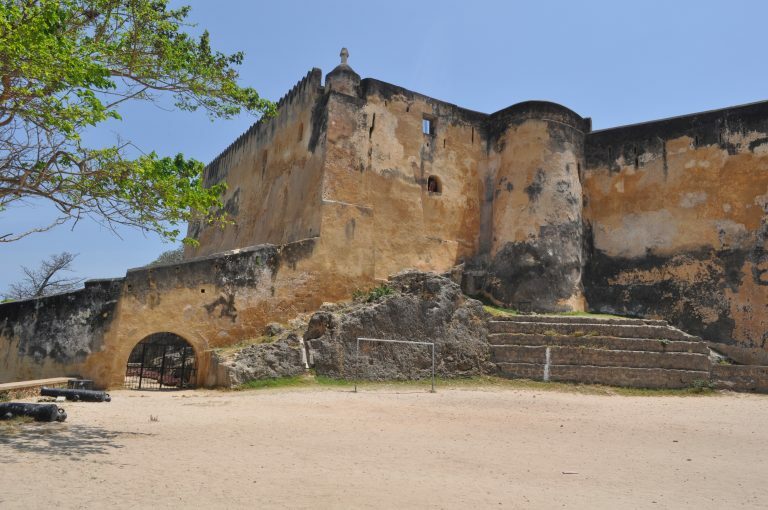 The Malindi Museum Society has an interesting site for this charming institution at Malindi. The Karen Blixen in Rungsted in Denmark is often overlooked by fans aware of the Karen Blixen Museum in Karen, outside Nairobi. The Ray Nestor Gallery at the Margaret Thatcher Library at Eldoret is endowed with a magnificent collection of works by Nestor (images of the works can be seen via the Index at the bottom of the website page). In 1958, and again in 1988, the East African Women’s League commissioned beautiful tapestries showing scenes of Kenya, which provide a useful and artistic visual archive. The Kenya Wildlife Service has an excellent site, with information about conservation, game and tourism in Kenya, as well as video clips. There is no website for the Nairobi Railway Museum, but a brochure about the Museum can be found at the website of Kenya Railways Corporation. There is, however, a useful website about the Museum by railway enthusiasts. Thomas G Hart, a US official stationed in Nairobi in the 1990’s with an interest in architecture and conservation has written a useful piece, with illustrations, titled Gazetting and Historic Preservation in Kenya. Published in 2007 in CRM: The Journal of Heritage Stewardship, it provides an interesting overview of attempts, since 1927, to gazette structures of historic value in Kenya. The National Museums of Kenya and the Architectural Association of Kenya have a joint initiative to encourage the public to identify and help nominate buildings in Nairobi that deserve to be gazetted (listed) for preservation. More about the initiative here. Especially since 2007, there is a need felt to understand how the past might have fashioned Kenya’s present predicament. The Ferguson Centre for African & Asian Studies in the United Kingdom, with support from the British Academy and the Arts & Humanities Research Council , undertook a research programme that looked at how Kenyans are engaging with heritage, memory and identity. A page on their website, with further links, reports on the research.